We were walking through a deep forest in southern Sweden. 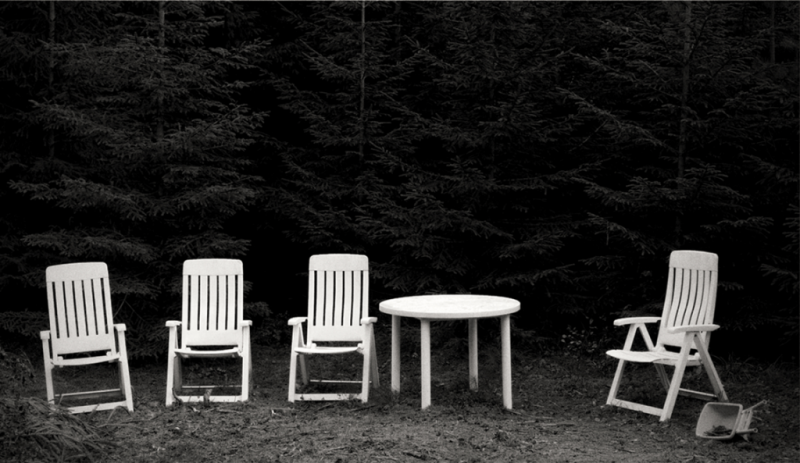 Suddenly there was a glade in the forest and at the edge we found this garden furniture and the little wheelbarrow. Why was it there? There was no house in the neighborhood, only a small winding path going somewhere. No people around, no voices. Just the wind soughing through the trees. Something had happened. I have photographed all my life, at least as far as I can remember. I have no favorite motifs when I take photos. I am looking for compositions. It is all about geometry, Cartier-Bresson once said. I have shown my photos at several exhibitions in Sweden and my work is represented in public and private collections.